Boris Détraz is from Rouen, a city in France famous for its medieval architecture. He studied art in Nantes, where he is currently based. He believes drawings, especially the dirtiest ones that are obviously linked to pleasure, can stop the seemingly unstoppable storm that is waiting for us.Painting, comics and zines are the visual food he requires.Impurity is still the key word. 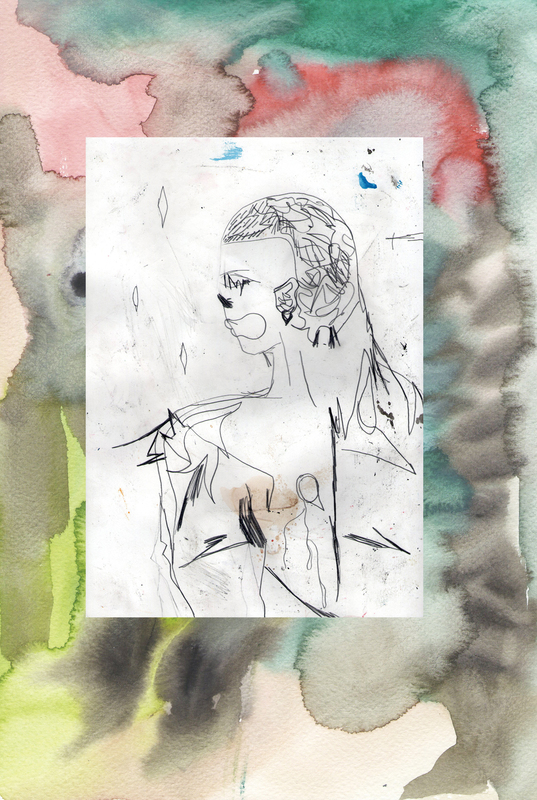 Makiko Furuichi studied art in Kanazawa art school and concluded her studies in Nantes, where she lives and works. The techniques she learned in Japan evolved with the culture shock and the feeling of freedom she felt in France. In her watercolours, you can find a feeling of “niyari”, some kind of ambiguous smile that remains long after viewing them. 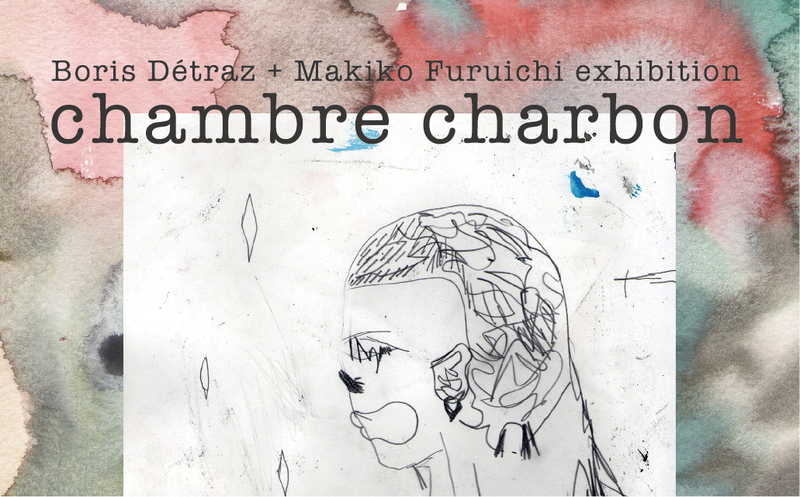 At their self-titled exhibition “Chambre Charbon” You will see diptychs showing crime and love, small pictures. depressed devils. warriors with cats and lots of color.